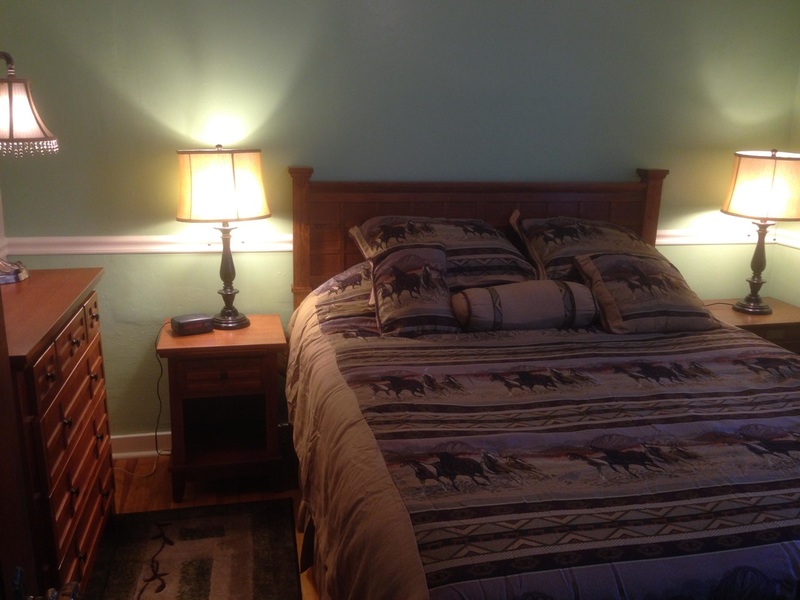 ﻿﻿﻿ Our Bungalow is located on N. Canyon Boulevard, close to the County Fairground, in the town of John Day, Oregon. 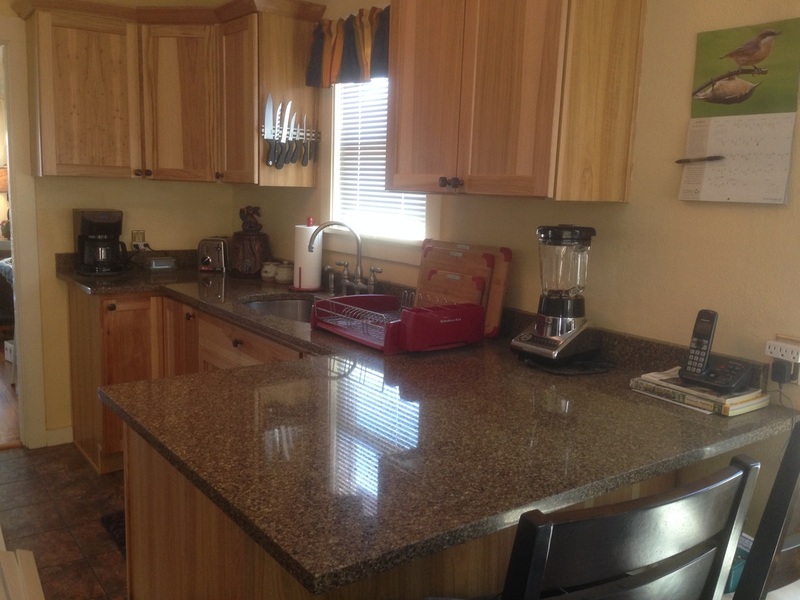 It is a perfect vacation home for families or an ideal location as a corporate lodging facility for those coming for a few days on business in the valley. The Bungalow is located close to all activities happening in the John Day Valley, and in town with walking distance to the Fairground and parks. It is completely furnished with a complete kitchen and all the amenities of a nice country retreat, though you won't be roughing it. The house sleeps 6 in three bedrooms, each with queen beds. 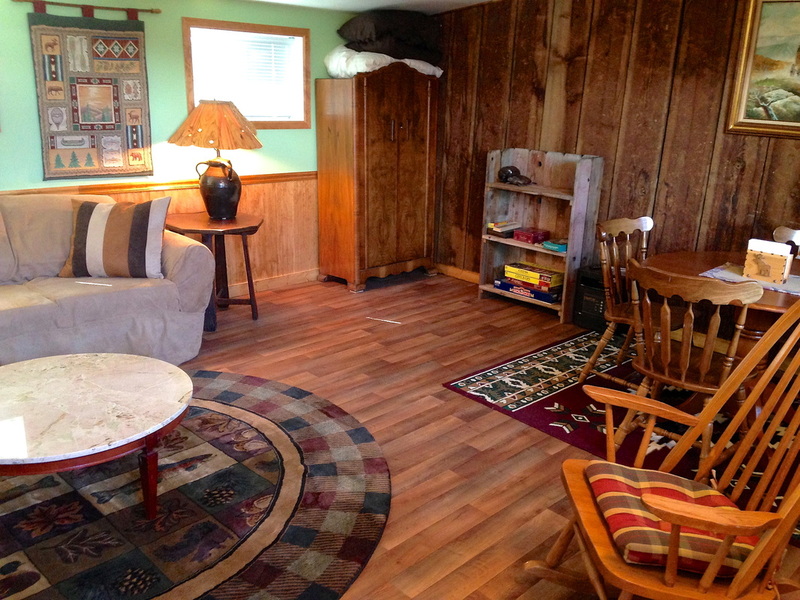 The recreation room (i.e., the 3rd bedroom) is 16x17 feet, located off the back yard and is perfect for playing games and relaxing. There is one full bathroom in the house and a laundry area on the back porch. We provide Dish TV and a CD player. Internet is provided. 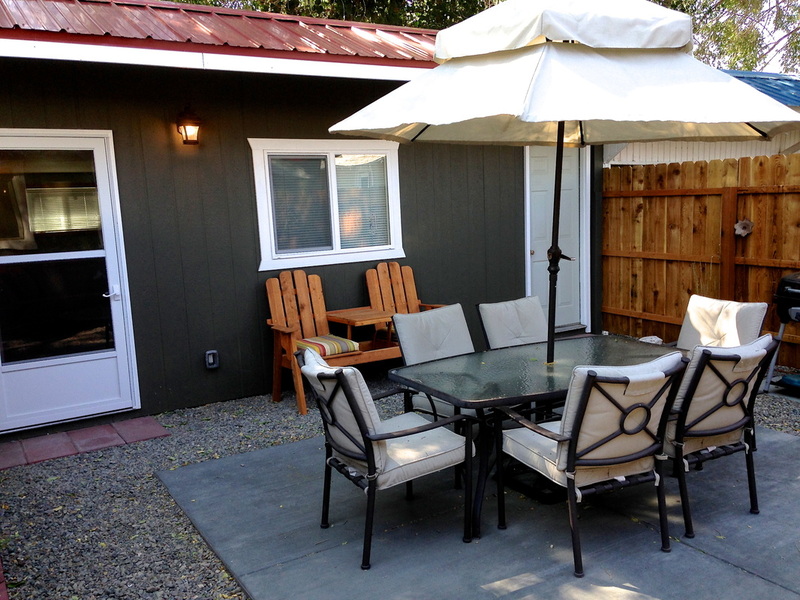 Outside we have a private back yard, including a patio set with umbrella and a Weber grill. The front porch is entirely enclosed with seating area for lounging and a café table for morning coffee. The driveway is shared with the neighboring house and there is parking for one car in a carport at the back of the driveway. Street parking is also readily available. The Bungalow is totally furnished and equipped. Just bring your suitcase and your groceries. It is beautiful, quiet and clean and we leave the keys in our car in this country. 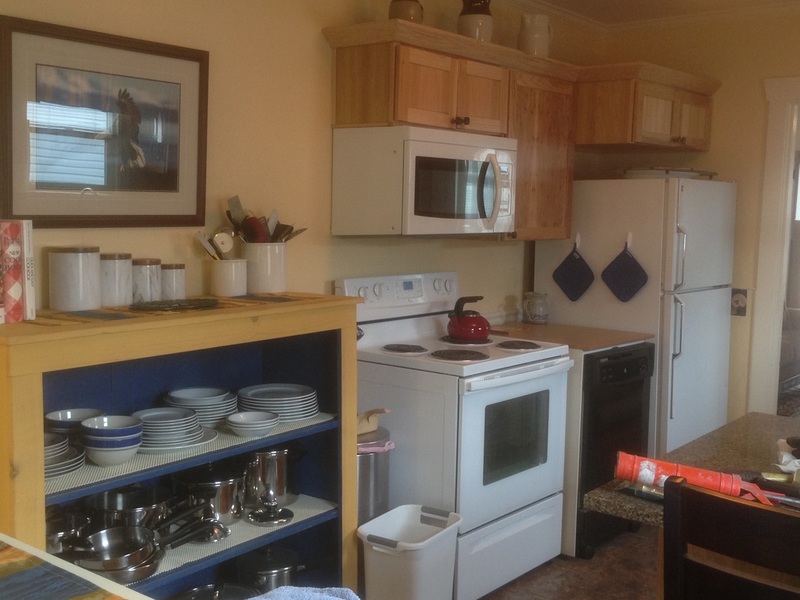 Amenities: Fully furnished, Air Conditioned, 3 Bedrooms, 1 Bathroom, 1 vehicle carport, Recreation Room, Linens Provided, Washer/Dryer, Off Street Parking, Heating with Toyo Stove, Eden Pure Heater, Private back yard with Webber grill and outdoor seating, Downtown setting and close to parks, etc. Communications: Cell Phone Service: Verizon covers the valley, Wireless Internet. For availability, check the www.vrbo.com website, under property 584476. If you have questions or would like to reserve this vacation home, please give Jim & Sandy a call at 415-748-8697 (cell). Email jim@johndayvalleyrentals.com. 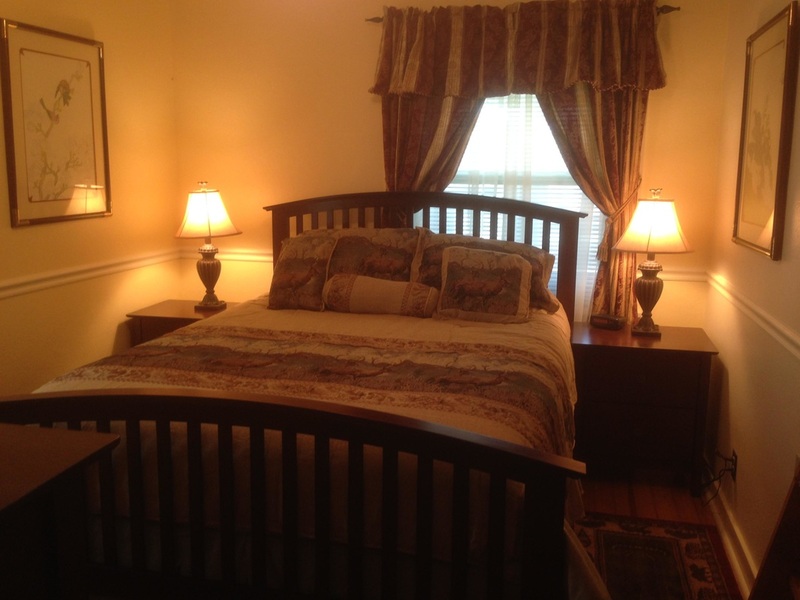 $125/night for 3 persons, with a two night minimum. Base rates are based on 3 people. Add $30 per night/per person for additional people. There is discount for stays over 5 days. We are also required to charge a 9% room tax. Smoking Policy: No smoking is allowed inside the house. $300 fine if violated. Pet Policy: No cats are allowed. Dogs are $10 per dog/per night extra. Deposit: 20% of rental fee on booking. We require a 7-day notice for a refund of deposit. Credit card number held as security deposit.